It is estimated that about more than half of Galaxy S4 users now enjoy Android 4.3 . As summarized in last post of Top 10 new or improved features in Jelly Bean 4.3 update for your Samsung Galaxy S4, most of users feel happy with the upgrade. Of course, some Galaxy S4 owners encounter some problems after the 4.3 upgrade. Some of these problems can be very disturbing, and therefore these owners may get frustrated. In this post, I will share with you the 5 most common problems you may encounter after the Jelly Bean 4.3 update and the solutions. S Health problems, missing mobile data toggle, apps on lock screen, annoying security warning, and lack of Outlook sync will be covered. If you have any other problems, you may post them in comment box below. The most widely reported problems is related to S Health. It seems this Android 4.3 update for S4 messed up the S Health app. The problems include: 1). 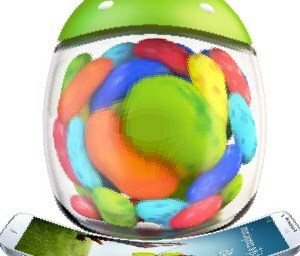 missing S Health after Jelly Bean 4.3 update; 2). S Health cannot start; 3). missing blood pressure and blood glucose related functions. I already shared the solutions for these three problems in our Newsletter (you may subscribe to it in the subscription box below, or in the sidebar). If you cannot find S Health in your S4 after the 4.3 upgrade, You can try to open Samsung Apps. Please note, you need a Samsung account for Samsung Apps. Once in Samsung Apps, tap Menu button and select “purchased”. You should be able to find S Health app there. You can install it from there. A picture speaks louder than words. Sharing your screenshot in Galaxy S4 is very easy. But for new Samsung Galaxy users, you may still fiddle around to find an app to do it. You can take a screenshot on Galaxy S4 without using any apps. Actually there are two methods. To take a screenshot, you can press and hold Home button and the Power button simultaneously until the shutter sound is heard. You will also get visual confirmation near the border of the screen. A notification will also be created and therefore you can directly check the screenshot by tap the notification. The screenshot is always accessible from the Gallery later. This method actually works on most Samsung Android phones. In most regions, long press of home key is configured as quick access to task manager and Google Now, so, you need press power button fast enough immediately after pressing the home button. You can sweep your palm across the screen to capture a screenshot as shown in the image left. You can also hear the shutter sound once the screenshot is taken. A notification will also be created. In the practical operation, you need sweep slowly. Sometimes, the phone may think you are trying to touch some location. This option may be off by default in some regions. You can manually turn on this function at Settings–My device–Motions and gestures–palm motion and then drag the Palm motion switch to the right to enable it. You may check the online user guide here for this setting: Palm motions. Can you take the screenshot in your Galaxy S4 now?